Nearly two tons of dead fish have washed up in a canal in Tainan, Taiwan. Thousands of fish appeared to die a violent death as climate change is being blamed for the deaths. However some officials are blaming the discharge of waste water containing sewage on the deaths. 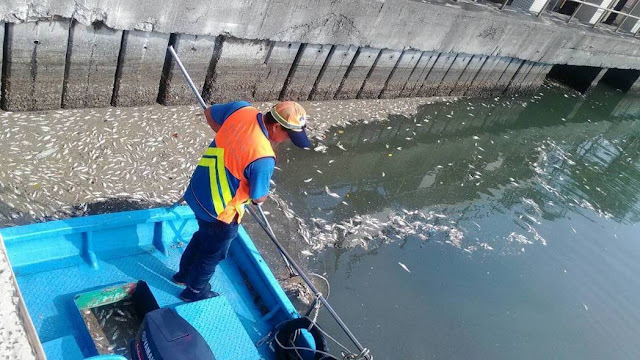 The environmental Protection agency pointed out the canal had a very low oxygen level after heavy showers and warm temperatures, samples of the canal water discovered low oxygen level along with ammonia nitrogen, suspended solids and heavy metals. Milkfish and mullet are the two species which suffered most loses.